LEGAZPI CITY (July 10) - PBN Broadcasting Network, Inc. President Brenda Bayona Locsin formally announced the opening of the networks annual selling fair on September 14, in time with the Peñafrancia Festival to highlight the big role of the Micro, Small and Medium Enterprises (MSMEs) in the economic, agriculture, and tourism development in our country consistent with the Bicol Tourism and Food Expo (BITFEX) advocacy on “Promote in Bicol, Sell in Bicol” campaign. 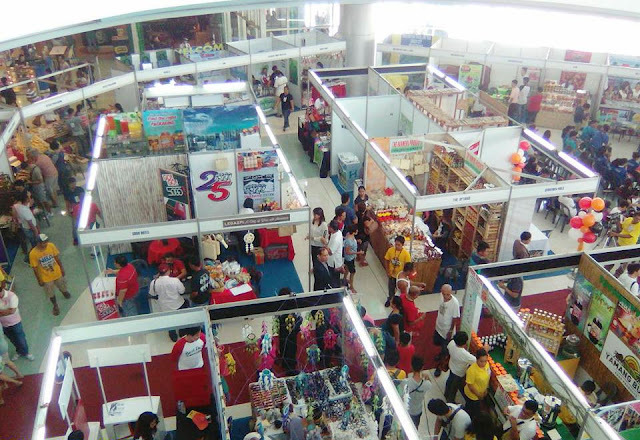 The “6th Bicol Tourism & Food Expo 2017” will be held at the Event Center, Ground Floor of SM City Naga from 10AM to 9PM until September 17. It will kick off with an opening program at 10AM on Sept. 14 with its continuing advocacy on tourism and agriculture with the theme “MSME: The Way to Go” with guests from partner agencies, industry and business group, local government units and other stakeholders. BITFEX will bring together in a one-stop marketplace in the Bicol Region, the key players in agriculture, food service, tourism and LGUs to promote and sell their finest products and ingenuity, services and tourist attractions and more importantly, build a network of useful business contacts, intended to sustain the promotion of local products while fostering the Bicolano entrepreneurial spirit. It will also provide buyers to explore the varied array of quality and unique handcrafted products like handicrafts, fashion accessories and other homestyle items. Local delicacies, processed fruits and vegetables as well as bakery products will also be available for sale. There is also a wide display of natural and herbal products for health and wellness enthusiasts. In view of the challenges in the free trade and global competition, MSMEs must be ready for this reality and be competitive and sustainable. BITFEX is a public-private partnership to advocate the promotion of tourism and food business in Bicol being spearheaded by PBN in partnership with the City Government of Naga, SM City, the Department of Agriculture, the Department of Tourism, 2D Albay. Ako Bikol, Technical Education and Skills Development Authority (TESDA) and the Deparment of Trade and Industry. In the previous BITFEX events, the organizer have successfully gathered almost 4,000 attendees for the entire events garnering not less than a thousand attendees per day composed of families and students, businessmen, teachers, local government units, elected officials, barangay officials, DepEd officials and employees, government agencies’employees, local tourism officials, and tourism business owners.